Chennai: A senior AIADMK minister said he agreed with the comments made by DMK working president MK Stalin that Kamal Haasan was a "paper flower that could not spread fragrance." Fisheries minister D Jayakumar said though DMK was his party's arch rival, he yet concurred with the paper flower comment of Stalin. "It will not bloom, nor give fragrance and it will continue to be a paper flower," he said of Haasan's formal entry into politics. On Tuesday, Stalin likened Haasan and Rajinikanth to paper flowers. "Owing to seasonal changes some flowers may suddenly bloom and later wither. 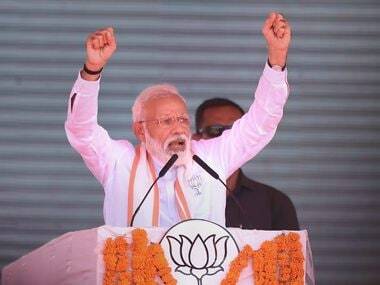 Similarly, in Tamil Nadu's political arena too glamorous paper flowers may bloom," he had said in an apparent reference to the political entry of the two mega stars. On the actor's reaction to the paper flower jibe that he is a "seed set to grow and not a flower to wither," Jayakumar said "the seed (an apparent reference to Haasan) is genetically modified which is not useful for anyone and which is not used in India." "He does not have the maturity of a leader. Is school a place to do politics?," Jayakumar asked referring to the effort of the actor to visit a school at Rameswaram where late president APJ Abdul Kalam studied. 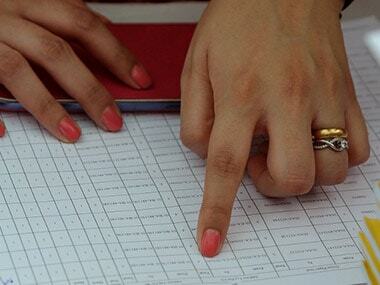 Since authorities had not given permission, the actor did not visit the school. However, Haasan said he cannot be stopped from learning Kalam's lessons though he was "prevented," from visiting the late leader's school. State revenue minister RB Udayakumar said Haasan has gone to Rameswaram to wash away his sins and that only the people have to say if he has done that. Earlier in the day, Haasan began his political journey from Rameswaram. 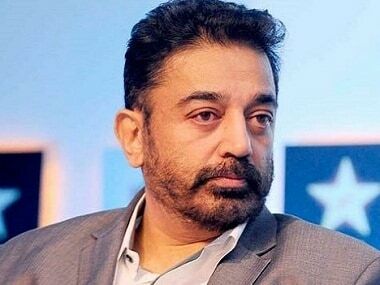 BJP Tamil Nadu unit chief Tamilisai Soundararajan said Kamal Haasan may make it to the headlines but "could not become a leader". The saffron party leader said she felt the actor has started a party in haste bringing the "on-screen competition to the political landscape," a reference to Haasan's co-actor Rajinikanth's political entry. VCK chief Thol Thirumavalavan, while extending his greetings, said only after the actor spelt out his policies could his party think of aligning with him. Recently, chief minister K Palaniswamy had taken potshots at Haasan on his political entry. 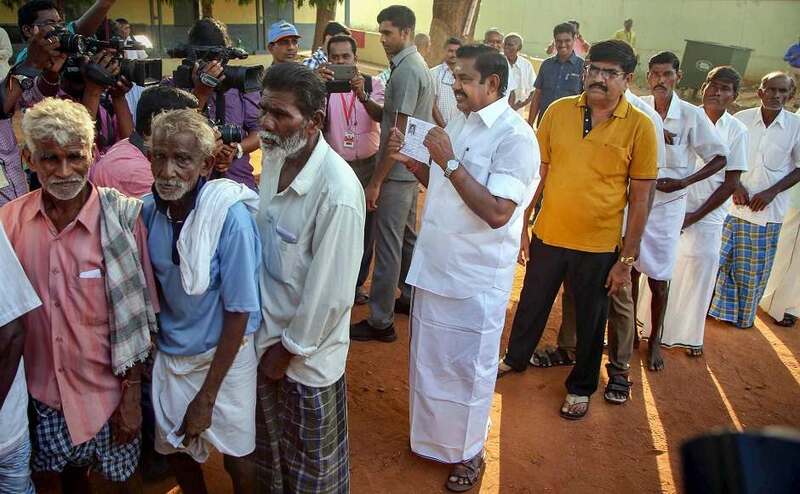 Stating that "wisdom," had dawned on Haasan only now, (a reference to his political entry), Palaniswamy said the ruling party had been working for the people for over 40 years. 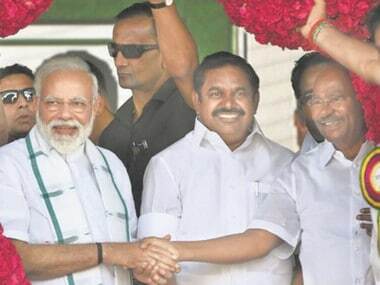 "Let him come, it is a good thing, let anybody work for the people's welfare," rival AIADMK leader TTV Dhinakaran had remarked on Haasan's political entry adding it cannot be stopped.